“We need urgent intervention to protect the mountains. We love living here and we won’t leave without a fight, but events like this don’t help stop depopulation: it’s time to decide, time is running out”. 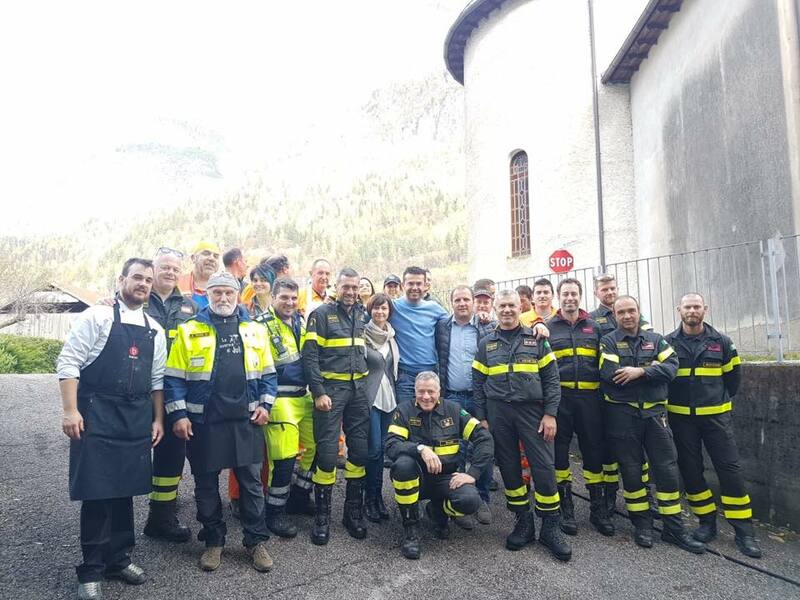 These are the words of the president of the Province of Belluno, Roberto Padrin, just a couple of days after the natural disaster which caused damage especially in Alto Agordino, Comelico and Feltrino but in many other places in the Belluno area. “The days after the acute stage of the emergency are, in some ways, easier but, in others, more difficult”, observes Padrin. The difficulty is starting out again but not just reinstating the same conditions that existed before 29 October. “As well as the damage to the environment, the whole system in the province was brought to its knees: services, roads, the electricity, water and mobile phone networks. We need to stop a moment and think about the future: this event was a watershed and should change the way we move forward, especially as regards tackling the issue of depopulation. Let’s all get around a table and decide which investments should be made to improve living conditions in the mountains”. “Our thanks go to those who have worked and are still working so hard to restore services, but in 2018 we cannot leave 70% of the people in Belluno without electricity for days: this is a sector which needs drastic solutions focusing on environmental sustainability”. Do you think these considerations concern everyone, all the other areas in the Dolomites which were hit to different extents by the same calamity? “This is where the UNESCO Dolomites Foundation comes in: we can’t afford to see Trentino and Alto Adige as our competitors, because we can’t compete, but as our friends and neighbours who need to share these decisions about the future with us and Friuli Venezia Giulia”. Talking about the future: what are your thoughts about the immediate future, especially the difficult task of clearing all the fallen trees? “The damage is immeasurable, winter is around the corner and time is of the essence: we need to seek advice from the experts, we need them to show us a solution we can share with the administrators, the timber companies, those who create the finished products. It needs very careful, precise planning”. “I would like to thank all the rescue workers, the volunteers, the institutions, starting with the Region. But I’d also like to mention the mayors who did such a brilliant job when the emergency was in its most critical stage, although it was the first time they had found themselves in such a situation”.